Supriya is an urbanist and architect with an interest in developing resilient growth strategies for newly urbanizing regions. She currently works for the Government of India and UNISDR on strategies for developing disaster resilient infrastructure, using the interface of design, engineering and policy to find pathways for long term urban planning. She has a Masters degree in Urbanism from the Delft University of Technology. Urban planning must take center stage to move from a ‘prohibitory’ towards a more ‘regulated’ form of growth. The coverage of disasters in the media commences with the surge of the disaster, moving on to despair, heroic stories of social resilience, outpouring of relief and finally, the blame game. This often sets the battleground for the "development versus environment" debate. The process of rebuilding the built environment and rehabilitating livelihoods is the most prolonged and resource-intensive phase of a disaster cycle. This is unfortunately beyond the patience of mainstream media coverage that fails to highlight that a long rehabilitation cycle is an indicator of a critical lapse in disaster preparedness measures. While Kerala takes the spotlight today, losses from recurrent flooding in India call for a fresh perspective on our strategies for disaster risk reduction. The Kerala floods were a Level 3 (severe) calamity. The intense floods were aggravated by the opening of 80% of the state’s dams to release overflowing waters causing massive landslides. These washed away several thousand kilometers of roads, disrupted the functioning of a critical rail line, flooded the airport runway, stopping operations, and submerged several power stations that cascaded into a telecommunication failure. These impeded the functioning of lifeline facilities, such as hospitals, schools, and fire and signaling stations, that are critical for faster recovery. This may be attributed in part to the fact that this was an event of a rare magnitude (1 in a 100 year). However, experience shows that despite understanding the consequences and pooling in resources to prepare for "low frequency but high intensity" calamities, the damages may still be overwhelming for existing coping capacities. There is a tendency to look at the "development versus environment" debate as a black and white fallacy. A chain of recommendations in the past imposed restrictions against development to conserve the environment. In theory, blanket regulations address the problem of unmindful development by prohibiting development altogether. However, these have not proven to be effective in the face of development pressures. More importantly, centuries of environmental damage cannot be reversed through a few years of policy making and action. Hence, before critiquing environmental policies, we need to qualify them with better data management and timelines. For example, development in the downstream areas of a dam needs to be minimized and the built stock there must be resilient to flooding. The Bureau of Indian Standards provides adequate guidelines to regulate the creation of built stock. However, macro aspects, such as land-use planning, do not have the mandate to be risk sensitive. In the not so far future, India is expected to host 20% of humanity. Development is inevitable. The system needs to leap forward to assess risks and further develop existing standards to regulate the quality of development. Asian cities that faced ravaging floods have started integrating risk information in their land-use plans. Such mainstreaming also provides a better idea of the probability of risk that a city must be prepared for. Countries such as the USA, the Netherlands, Afghanistan, and Brazil have their hazard maps in the public domain to encourage action and ownership among citizens to minimize response time. The effective "biscuits and blankets response" approach needs to be ably complemented with effective planning measures to preempt the consequences of disasters. 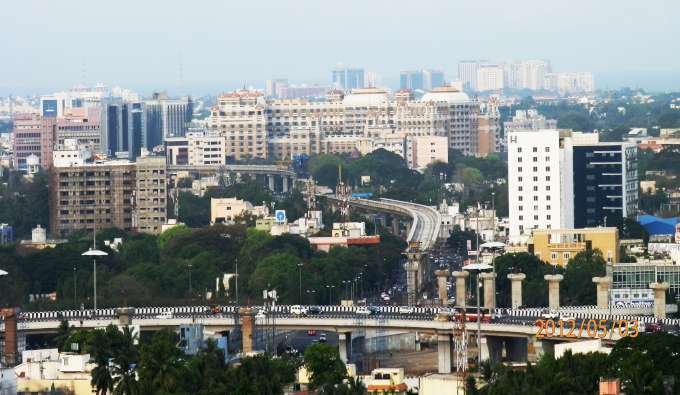 The value of urban planning has been severely undermined in India. While there is a statutory regulator for architects, there is no mandated body to regulate the practice of engineers and town planners who together formulate most planning decisions. Large-scale problems call for institutionalized engagement with the urban planner to bring development in consensus with the environment and India is not alone in this battle. Recently, Jakarta emerged as the world’s fastest sinking city and Cape Town had a close brush with "Day Zero" when the city’s taps would go dry. Global initiatives such as Rebuild by Design and Water as Leverage are encouraging multidisciplinary thinking to find creative solutions for problems of coastal cities. The flood-threatened country Netherlands (almost the same size as Kerala) has adopted a National Policy for Infrastructure and Spatial Planning that enables an integrated perspective for development with risks. As we gear to invest trillions in building new cities, it is essential to orient the development process to be resilient and not create additional risks. In 2016, the Prime Minister of India set out a ten-point agenda for Disaster Risk Reduction that recommends "all development sectors to imbibe principles of disaster risk management." India's ongoing plan to form a global Coalition on Disaster Resilient Infrastructure is a step towards deliberating on issues for better risk assessment, standards and financing mechanisms for resilient development. India's diversified development landscape has not proved suitable for an integrated planning system that reasonably accounts for the economy and the environment. The Kerala floods are a reminder that it is imperative to take a macro view of the development trajectory that has led us to the current state of affairs. Re-centering the role of the urban planner may hold the answers to long-term resilience.